I crossed the pond to scope out the vegan scene in Paris and Malta. Wow! It was exciting to find many popular vegan restaurants and widely available vegan foods in French supermarkets like Monoprix and Carrefour. 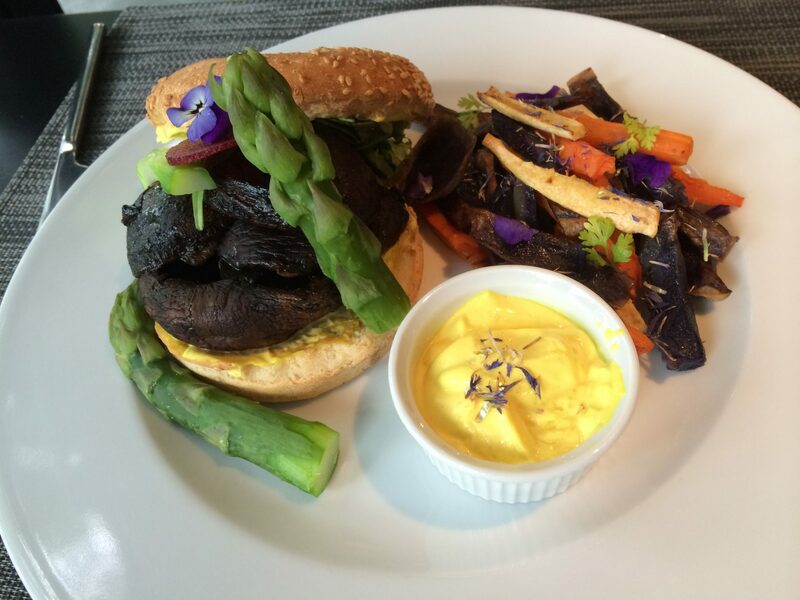 If you’re traveling to Paris, put these vegan/vegetarian restaurants on your map. All of the meals were fabulous! My vegan brunch at Soya in the 11eme: C’est si bon. 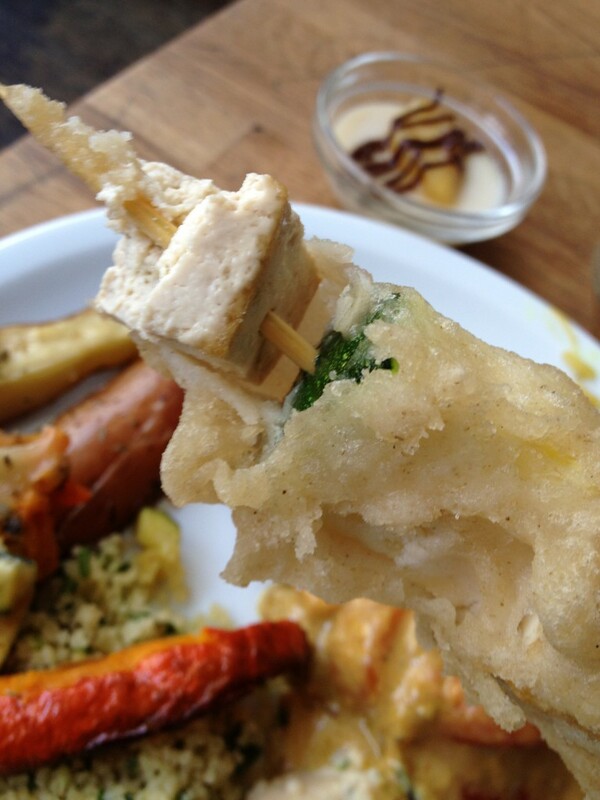 Soya is a vegetarian restaurant that has a creative menu full of vegan options. The restaurant is well-known for a super yummy, prix fixe, “all you can eat” brunch filled with vegan deliciousness (mostly made from tofu). I had their tempura battered yummies, flan and mousse au chocolat! My raw vegan dinner by Happy Crulture at Sol Semilla in the 11eme: Très délicieux! Sol Semilla serves vegan meals made with superfoods such as acai and raw cacao. Every Friday night, Sol Semilla features raw vegan cuisine with a menu created by Happy Crulture and raw vegan chef Camilla Prioli. Meet Camilia Prioli in our special video interview! Dining at the Gentle Gourmet Café, eating my very first vegan macaron, and meeting a pioneer in the vegan scene in Paris, Deborah Pivain: Très formidable. (English translation: awesome!) Deborah creates beautiful vegan cheese plates and high end vegan cuisine. 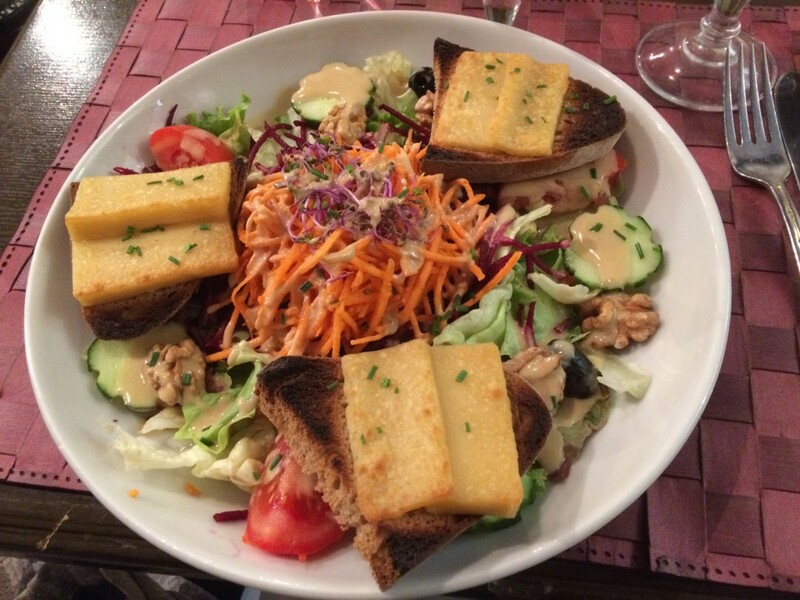 My fav spot in the Marais is the lovely all vegan Potager du Marais on Rue Rambuteau. 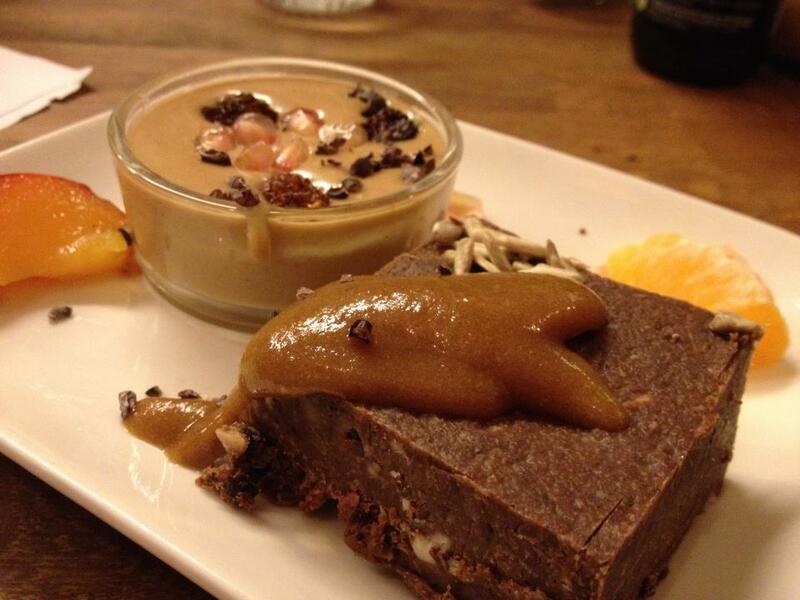 This gem serves vegan versions of traditional dishes like French onion soup, seitan bourguignon, and chocolate mousse. I’m obsessed with the hot cheese salad! It’s a small place and fills up quickly, so it’s best to make a reservation. And I found actual vegan croissant at Cloud Cakes! 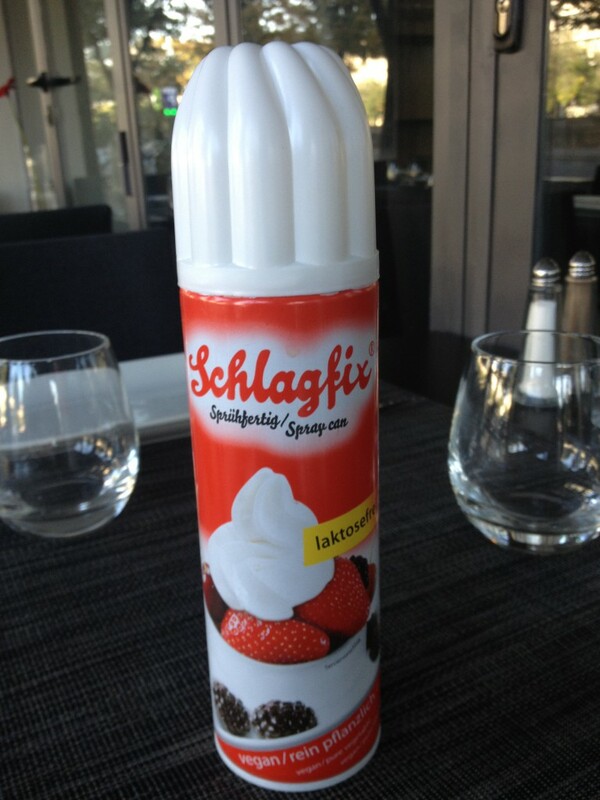 This delightful whipped “cream” from Germany comes in a pressurized spray can and doesn’t need to be refrigerated until it’s opened. It is so delicious that I couldn’t resist the temptation to just spray it into a bowl and eat it! 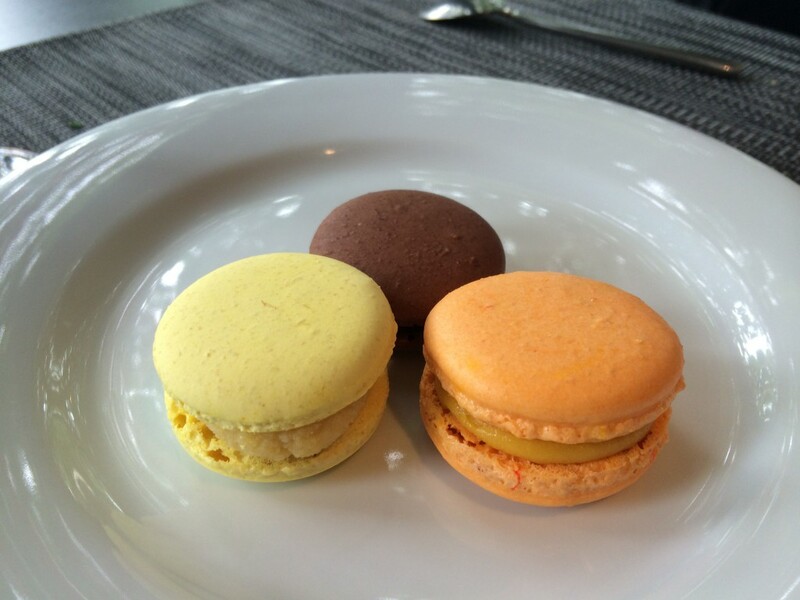 The photo below is from the Gentle Gourmet Café. And yes, it really is that creamy and perfect looking straight out of the spray can! 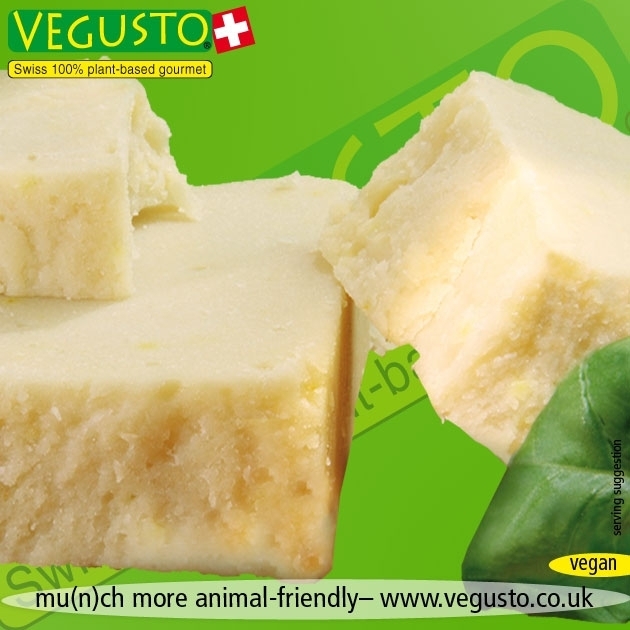 Vegusto is a Swiss company and their amazing vegan cheeses come in many flavors including cheddar and blue “cheese.” If you live in Europe, Vegusto products are available both in stores and online. I haven’t seen it in the US… yet. Hope someday! I discovered sunflower seed margarine on the Maltese island of Gozo as well as in Paris. 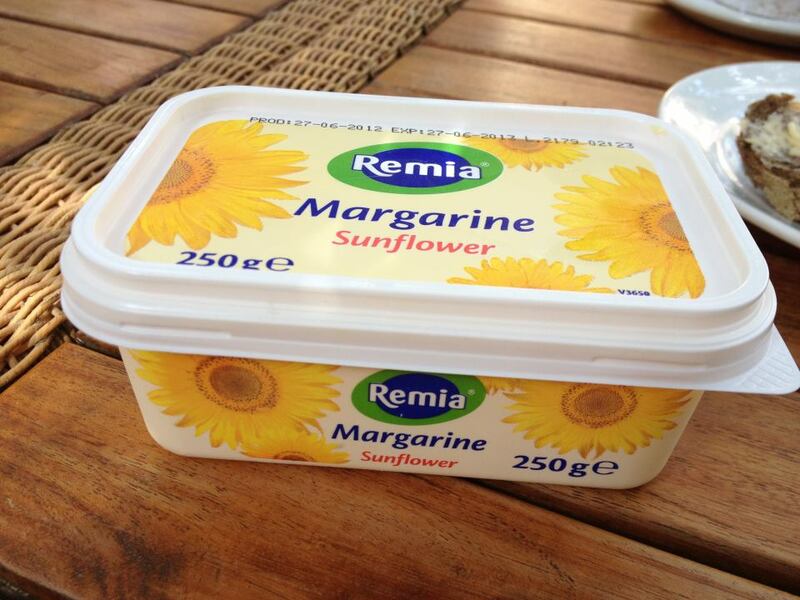 I had never heard of margarine made from sunflower seeds before! It’s casein-free, (not all non-dairy butters are casein-free), spreads perfectly on toast, and is made from sunflower and non-GMO soy lecithin. I LOVED this sunflower seed margarine. If I ever find it in the US, I will absolutely buy it! It was such a pleasure to explore the vegan food scene in Paris in Malta. 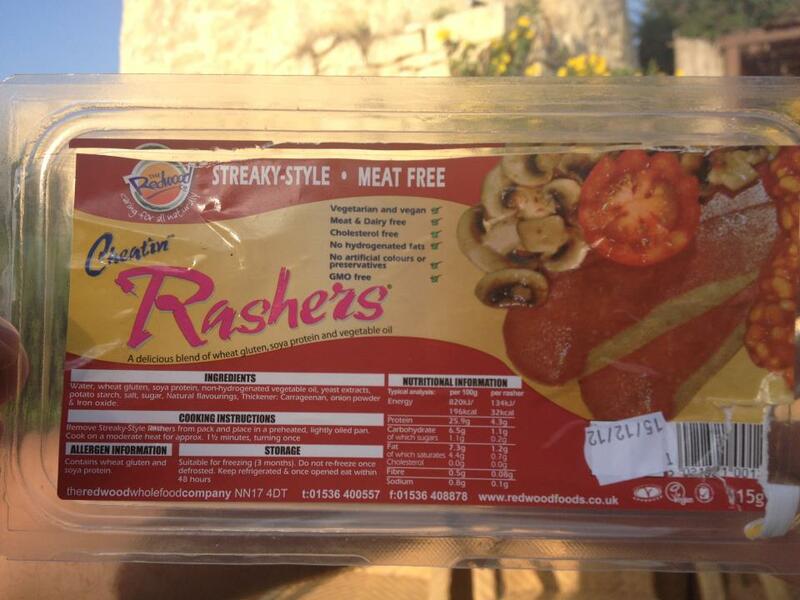 I’m really glad to report back that there are many vegan options available both in restaurants and supermarkets! I even got to interview the Chef at the Malta Radisson who made the fabulous vegan meals for us! 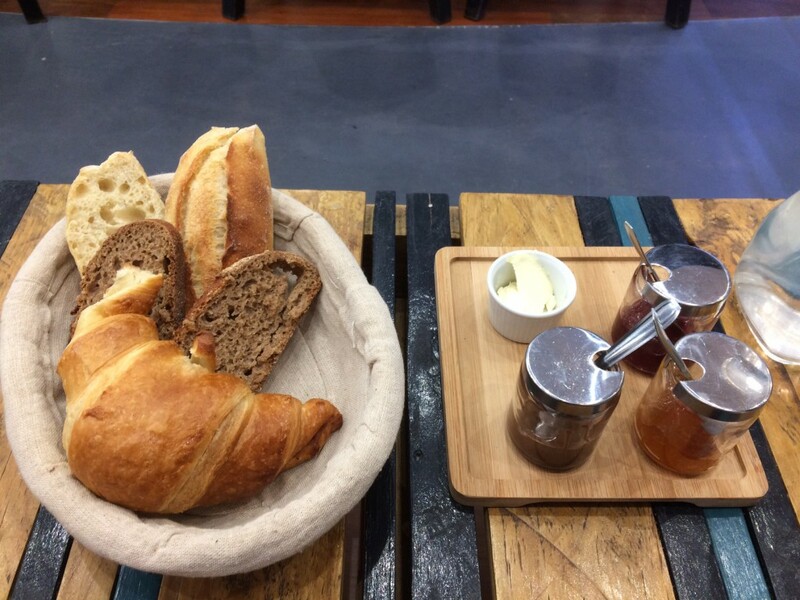 For vegan travelers about to visit the city of light, we have two special videos for you! To learn about vegan dairy options in Paris and vegan packaged foods in Paris, visit the Yummy Plants YouTube channel. 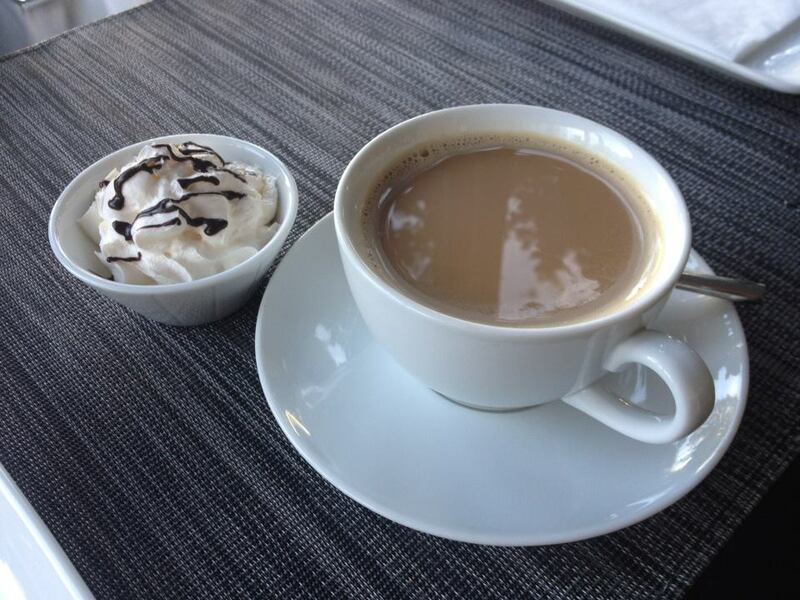 If you have some favorite vegan food products from your travels abroad, please send us photos and descriptions. We’d love to share the “goodies” news with the Yummy Plants community.